Jimmy is a sensitive guy, and when he gets cold, he retreats to a deep, dark place. Thankfully, we’ve created an extra special solution for your closest partner in crime. 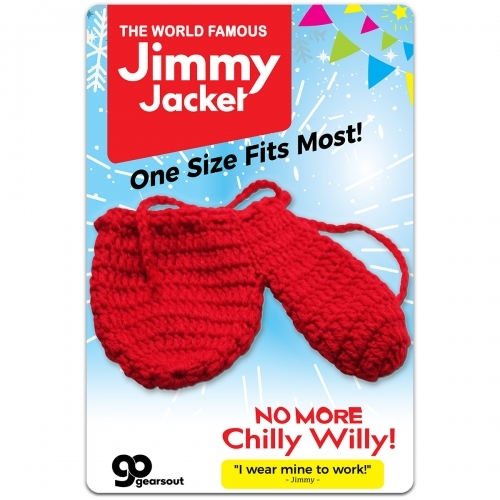 He’ll stand tall and proud through even the stiffest winter breezes when you wrap him up in his very own Jimmy Jacket! 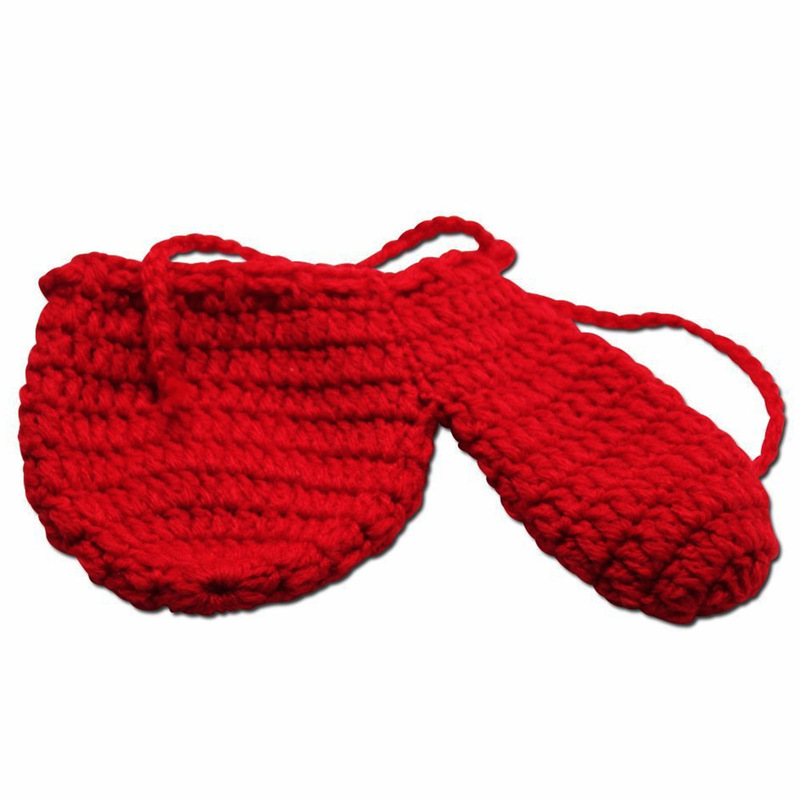 This knit, red package wrapper keeps your willy warmer than the Sahara on a summer day, even when you’re standing waist deep in fresh powder. With its unique design, your wedding tackle will be roasty toasty no matter how cold it might be. 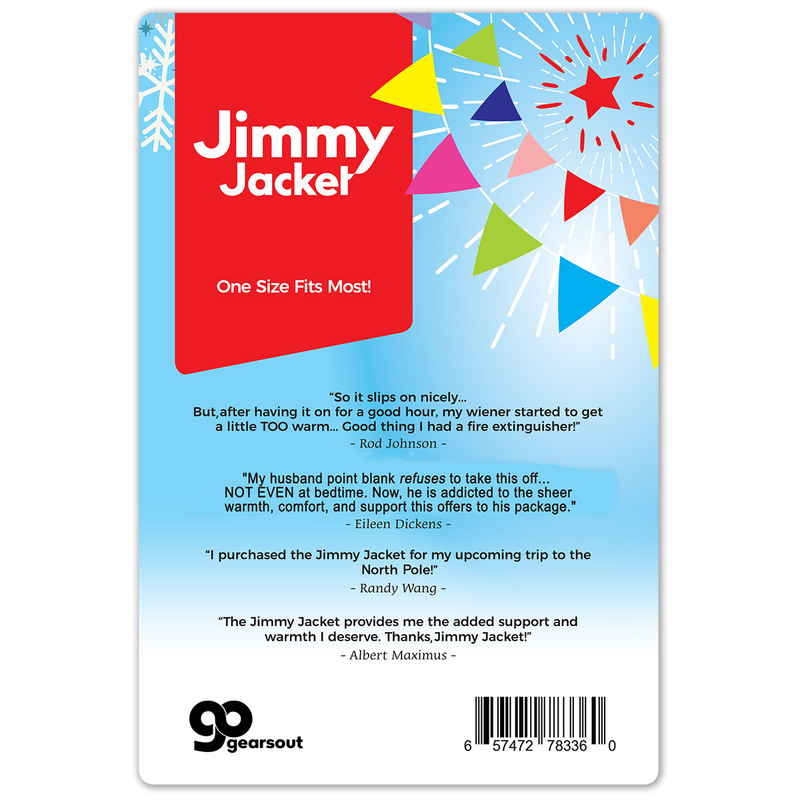 The Jimmy Jacket is designed to fit most packages. The knit design has a little give for the well-endowed, and a built in drawstring for those fellas who choose to believe it when she says size doesn’t matter.